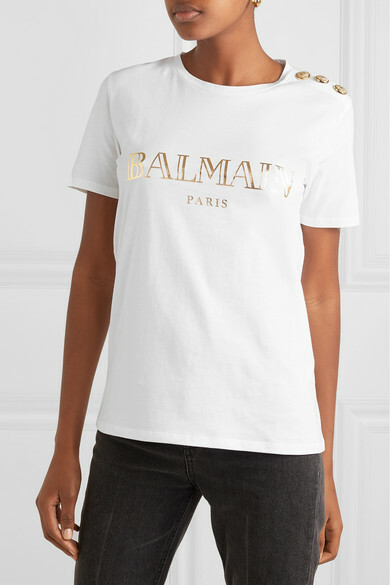 Just like its iconic blazer and tank, Balmain's T-shirt is defined by the gold lion-embossed buttons. 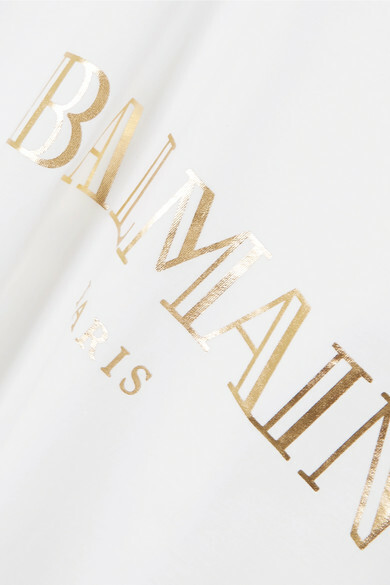 This style is made from soft cotton-jersey and printed with a gilded version of the house's moniker. 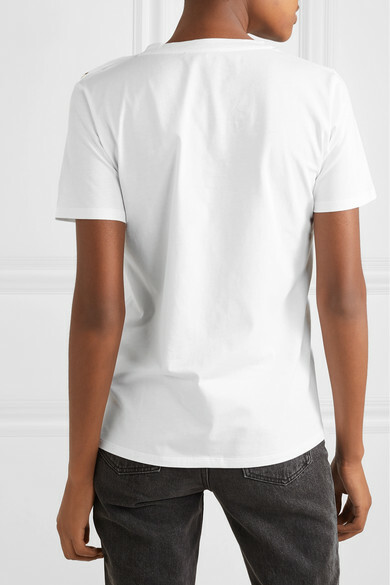 Wear yours half-tucked into jeans or leather pants. 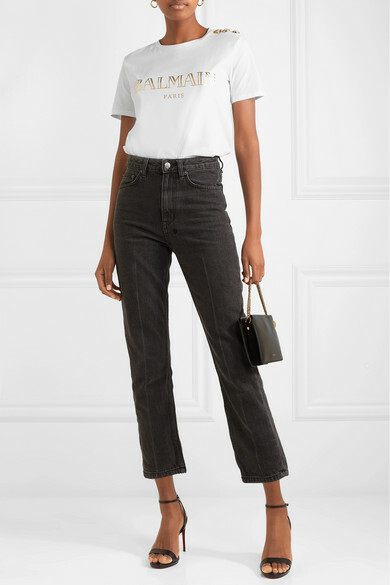 Shown here with: Balmain Pants, Alexander Wang Pumps, Loewe Pouch, Jennifer Fisher Earrings.